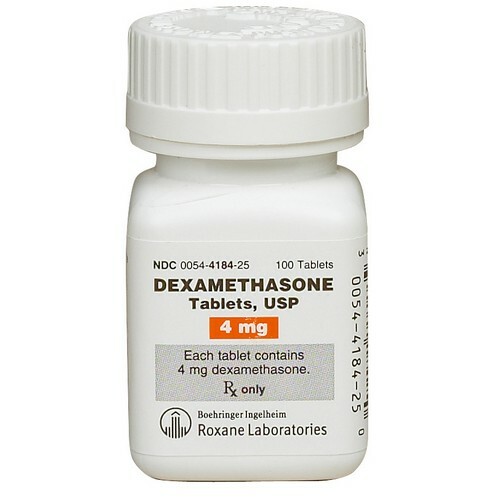 Dexamethasone Tablets are used for a number of conditions, including allergies, inflammation, certain types of colitis, and many other diseases. A corticosteroid used as an anti-inflammatory agent in horses, dogs and cats. A synthetic version of prednisolone, but has more potent anti-inflammatory, hormonal and metabolic effects. Commonly given at a dosage of 0.25-1.25 mg per day in dogs and 0.125-0.5 mg per day in cats. Recommended for use up to 7 days.